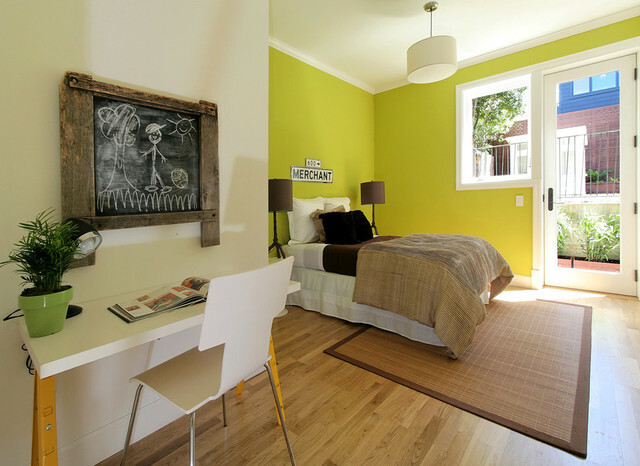 I'm a sucker for chartreuse, especially when used on just one or two walls and paired with neutrals and light, warm woods. It's another fun and modern palette. And if your love for the color should wane, it's easy to repaint with a new favorite. This is the shade/tone of wood flooring I would like. Lighter to hide dust, but also dark enough to hide the other dirt.